Colorpoint Cat Keychain Pewter from Anwo.com Animal World® is Colorpoint cat keychain lover fun. Made of pewter this Colorpoint Cat keychain features a relief style Colorpoint cat on one side and I (heart) my Colorpoint cat on the other side and measures 3.5" x 1.5"W as shown. 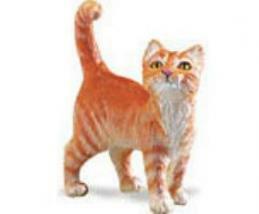 Shop our Cat Keychains at Animal World® page for additional cat keychains.